… or perhaps just not look at the viewers numbers at all and just do what think is fun? I decided I’ll go with the latter for now. After all, I enjoy making these and they usually give me some interesting feedback and discussions even if the numbers are really low. What good is a number anyway? I worked on a patch for Firefox bug 237623 to make sure Firefox would use a stricter check for “HTTP 1.1 framing”, checking that Content-Length is correct and that there’s no broken chunked encoding pieces. I was happy to close an over 10 years old bug when the fix landed in June 2014. The fix landed and has not caused any grief all the way since June through to the actual live release (Nightlies, Aurora, Beta etc). This change finally shipped in Firefox 33 and I had more or less already started to forget about it, and now things went south really fast. Servers that deliver gzipped content and sends a Content-Length: for the uncompressed data. This seems to be commonly done with old mod_deflate and mod_fastcgi versions on Apache, but we also saw people using IIS reporting this symptom. Servers that deliver chunked-encoding but who skip the final zero-size chunk so that the stream actually never really ends. We recognize that not everyone can have the servers fixed – even if all these servers should still be fixed! We now make these HTTP 1.1 framing problems get detected but only cause a problem if a certain pref variable is set (network.http.enforce-framing.http1), and since that is disabled by default they will be silently ignored much like before. The Internet is a more broken and more sad place than I want to accept at times. Although the code may now no longer alert anything about HTTP 1.1 framing problems, it will now at least mark the connection not due for re-use which will be a big boost compared to before since these broken framing cases really hurt persistent connections use. The partial transfer return codes for broken SPDY and HTTP/2 transfers remain though and I hope to be able to remain stricter with these newer protocols. 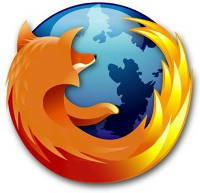 This partial reversion will land ASAP and get merged into patch releases of Firefox 33 and later. Finally, to top this off. 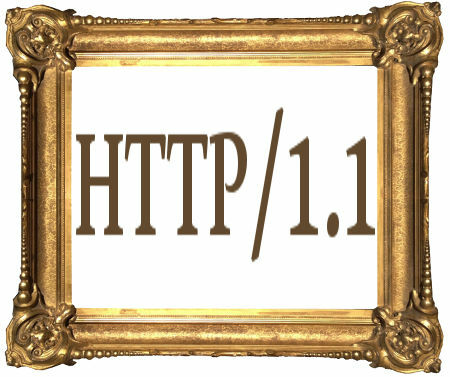 Here’s a picture of an old HTTP 1.1 frame so that you know what we’re talking about. 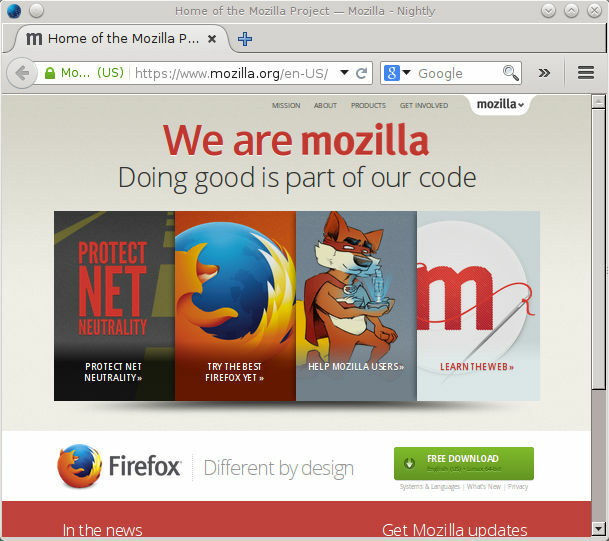 Short recap: I work on network code for Mozilla. Bug 939318 is one of “mine” – yesterday I landed a fix (a patch series with 6 individual patches) for this and I wanted to explain what goodness that should (might?) come from this! This feature set and associated problems with it has been one of the most time consuming things I’ve developed in recent years, I mean in relation to the amount of actual code produced. I’ve had it “landed” in the mozilla-inbound tree five times and yanked out again before it landed correctly (within a few hours), every time of course reverted again because I had bugs remaining in there. The bugs in this have been really tricky with a whole bunch of timing-dependent and race-like problems and me being unfamiliar with a large part of the code base that I’m working on. It has been a highly frustrating journey during periods but I’d like to think that I’ve learned a lot about Firefox internals partly thanks to this resistance. In many network setups today, you get an environment and a network “experience” that is crafted for that particular place. For example you may connect to your work over a VPN where you get your company DNS and you can access sites and services you can’t even see when you connect from the wifi in your favorite coffee shop. The same thing goes for when you connect to that captive portal over wifi until you realize you used the wrong SSID and you switch over to the access point you were supposed to use. For every one of these setups, you get different DHCP setups passed down and you get a new DNS server and so on. These days laptop lids are getting closed (and the machine is put to sleep) at one place to be opened at a completely different location and rarely is the machine rebooted or the browser shut down. Switching from one of the networks to the next is of course something your operating system handles gracefully. You can even easily be connected to multiple ones simultaneously like if you have both an Ethernet card and wifi. Enter browsers. Or in this case let’s be specific and talk about Firefox since this is what I work with and on. Firefox – like other browsers – will cache images, it will cache DNS responses, it maintains connections to sites a while even after use, it connects to some sites even before you “go there” and so on. All in the name of giving the users an as good and as fast experience as possible. The combination of keeping things cached and alive, together with the fact that switching networks brings new perspectives and new “truths” offers challenges. Make sure that we detect network changes, even if just the set of available interfaces change. Send an event for this. Consider coming back from “sleep” to be a network changed event since we just cannot be sure of the network situation anymore. The initial work has been made for Windows only but it allows us to smoothen out any rough edges before we continue and make more platforms support this. The network changed event can be disabled by switching off the new “network.notify.changed” preference. If you do end up feeling a need for that, I really hope you file a bug explaining the details so that we can work on fixing it! So what is acting properly? What if the network changes in a way so that your active connections suddenly can’t be used anymore due to the new rules and routing and what not? We attack this problem like this: once we get a “network changed” event, we “allow” connections to prove that they are still alive and if not they’re torn down and re-setup when the user tries to reload or whatever. For plain old HTTP(S) this means just seeing if traffic arrives or can be sent off within N seconds, and for websockets, SPDY and HTTP2 connections it involves sending an actual ping frame and checking for a response. The internal DNS cache was a bit tricky to handle. I initially just flushed all entries but that turned out nasty as I then also killed ongoing name resolves that caused errors to get returned. Now I instead added logic that flushes all the already resolved names and it makes names “in transit” to get resolved again so that they are done on the (potentially) new network that then can return different addresses for the same host name(s). The ‘N seconds’ waiting period above is actually 5 seconds by default and there’s a new preference called “network.http.network-changed.timeout” that can be altered at will to allow some experimentation regarding what the perfect interval truly is for you. My initial work has been limited to getting the changed event code done for the Windows back-end only (since the code that figures out if there’s news on the network setup is highly system specific), and now when this step has been taken the plan is to introduce the same back-end logic to the other platforms. The code that acts on the event is pretty much generic and is mostly in place already so it is now a matter of making sure the event can be generated everywhere. My plan is to start on Firefox OS and then see if I can assist with the same thing in Firefox on Android. Then finally Linux and Mac. I started on Windows since Windows is one of the platforms with the largest amount of Firefox users and thus one of the most prioritized ones. There’s separate work going on for properly detecting captive portals. You know the annoying things hotels and airports for example tend to have to force you to do some login dance first before you are allowed to use the internet at that location. When such a captive portal is opened up, that should probably qualify as a network change – but it isn’t yet. On Saturday the 13th of September, I took part in a hackathon in Falun Sweden organized by Daladevelop. 20-something hacker enthusiasts gathered in a rather large and comfortable room in this place, an almost three hour drive from my home. A number of talks and lectures were held through the day and the difficulty level ranged from newbie to more advanced. My own contribution was a talk about curl followed by one about HTTP/2. Blabbermouth as I am, I exhausted the friendly audience by talking a good total of almost 90 minutes straight. I got a whole range of clever and educated questions and I think and hope we all had a good time as a result. The organizers ran a quiz for two-person teams. I teamed up with Andreas Olsson in team Emacs, and after having identified x86 assembly, written binary, spotted perl, named Ada Lovelace, used the term lightfoot and provided about 15 more answers we managed to get first prize and the honor of having beaten the others. Great fun! At around 06:49 CEST on the morning of August 27 2014, Google deployed an HTTP/2 draft-14 implementation on their front-end servers that handle logins to Google accounts (and possibly others). Those at least take care of all the various login stuff you do with Google, G+, gmail, etc. The little problem with that was just that their implementation of HTTP2 is in disagreement with all existing client implementations of that same protocol at that draft level. Someone immediately noticed this problem and filed a bug against Firefox. The Firefox Nightly and beta versions have HTTP2 enabled by default and so users quickly started to notice this and a range of duplicate bug reports have been filed. And keeps being filed as more users run into this problem. As far as I know, Chrome does not have this enabled by default so much fewer Chrome users get this ugly surprise. 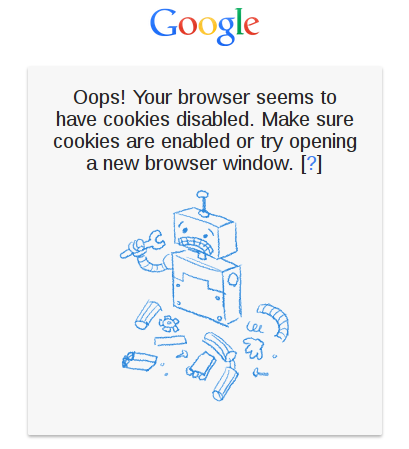 The Google implementation has a broken cookie handling (remnants from the draft-13 it looks like by how they do it). As I write this, we’re on the 7th day with this brokenness. We advice bleeding-edge users of Firefox to switch off HTTP/2 support in the mean time until Google wakes up and acts. This post is being debated on hacker news. Updated: 20:14 CEST: There’s a fix coming, that supposedly will fix this problem on Thursday September 4th. Update 2: In the morning of September 4th (my time), Google has reverted their servers to instead negotiate SPDY 3.1 and Firefox is fine with this. As my http2 presentation is about to get its 16,000th viewer over at Slideshare I just have to take a moment and reflect over that fact. Sixteen thousand viewers. I’ve uploaded slides there before over the years but no other presentation has gotten even close to this amount of attention even though some of them have been collecting views for years by now. 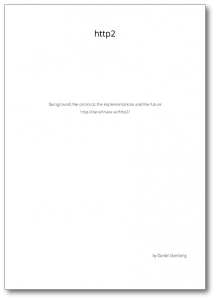 I wrote my http2 explained document largely due to the popularity of my presentation and the stream of questions and curiosity that brought to life. Within just a couple of days, that 27 page document had been downloaded more than 2,000 times and by now over 5000 times. This is almost 7MB of PDF which I believe raises the bar for the ordinary casual browser to not download it without having an interest and intention to at least glance through it. Of course I realize a large portion of said downloads are never really read. Someone suggested to me (possibly in jest) that I should convert these into ebooks and “charge 1 USD a piece to get some profit out of them”. I really won’t and I would have a struggle to do that. It has been said before but in my case it is indeed true: I stand on the shoulders of giants. I’ve just collected information and written down texts that mostly are ideas, suggestions and conclusions others have already made in various other forums, lists or documents. I wouldn’t feel right charging for that nor depriving anyone the rights and freedoms to create derivatives and continue building on what I’ve done. I’m just the curator and janitor here. Besides, I already have an awesome job at an awesome company that allows me to work full time on open source – every day. The next phase started thanks to the open license. A friendly volunteer named Vladimir Lettiev showed up and translated the entire document into Russian and now suddenly the reach of the text is vastly expanded into a territory where it previously just couldn’t penetrate. With using people’s native languages, information can really trickle down to a much larger audience. Especially in regions that aren’t very Englishified. A whole range of significant Swedish network organizations (ISOC, SNUS, DFRI and SUNET) organized a full-day event today, managed by the great mr Olle E Johansson. The event, called “MeraKrypto” (MoreCrypto would be the exact translation), was a day with introductions to TLS and a lot of talks around TLS and other encryption and security related topics. I was there and held a talk on the topic of “curl and TLS” and I basically talked some basics around what curl and libcurl are, how we do TLS, some common problems and hwo verifying the server cert is a common usage mistake and then I continued on to quickly mention how http2 and TLS relate..See my slides below, but please be aware that as usual you may not grasp the whole thing only by the (English) slides. The event was fully booked so there was around one hundred peeps in the audience and there were a lot of interested minds that asked good questions proving they really understood the topics. The discussion almost got heated during the talk about how companies do MITMing of SSL sessions and this guy from Bluecoat pretty much single-handedly argued for the need for this and how “it fills a useful purpose”. The event was streamed live and recorded on video. I’ll post a link as soon as it gets available to me.